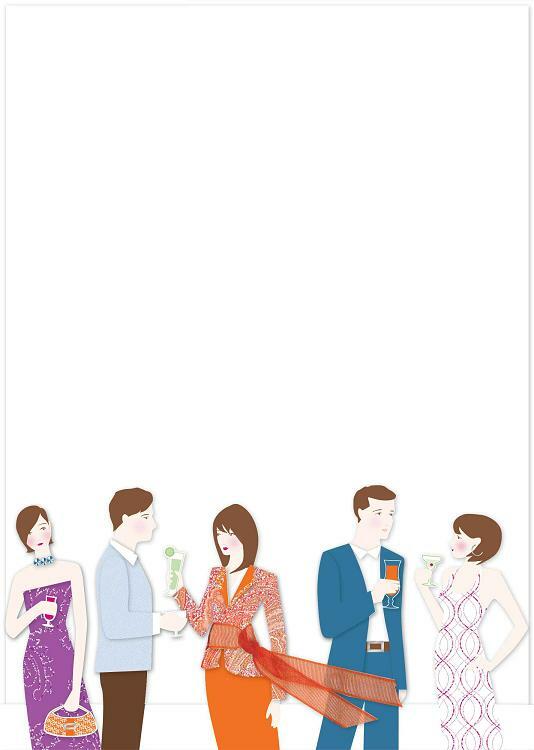 Fun cocktail party invitation works for anytime of the year! Diecut revelers are stylishly coifed with glittered dresses, crystal bling necklace and ribbon belt. 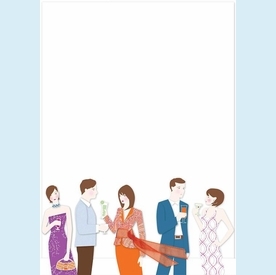 Imprintable blank white card slips behind the diecut shapes. CLOSEOUT...only 2 sets left! SIZE DIMENSIONS: ~6" x 8.25"